Janet Hill is a freelance photographer in the Seattle area. Sports, animals, and portraits are her favorite photographic subjects. Check out her website, Spotshotphotography. com to see her portfolio. If you would like cx photos of yourself during a race, let her know ahead of the race. Phone: 206 422-8819. Email: spotshotphoto@mac.com. 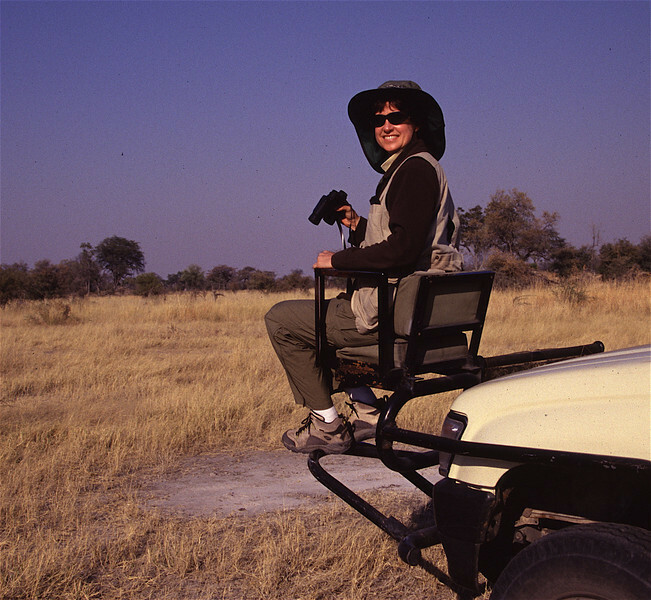 Janet sitting in the spotter's seat during a break on safari in Botswana.